We are so pleased to have clients who have experienced success with our program. Below are just some of the comments we have received as they have gone through or completed our program. Very relaxing and enjoyable experience! 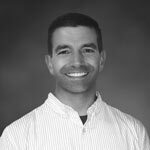 Dr. McEvoy is wonderful, very knowledgeable and easy to work with, his heart is truly in his work! * R.B. I just experienced an amazing session of hypnosis with Dr. McEvoy. It was my very first time being hypnotized, and it was extremely effective and exceeded my expectations! I can’t thank you enough for setting me on the right track in order to achieve my goal. Again, many thanks. * Jeannie N.
If you are considering hypnosis, I strongly recommend you contact Dr. McEvoy. I had never been hypnotized before and was unsure of what to expect. Dr. McEvoy took the time to explain what would happen and I found the whole process to be comfortable and relaxing. I am also down 8 pounds in the two weeks since our session! * Michelle D.
A quick update for you, I am down 17 pounds over the past 6 weeks. I can’t tell you how happy I am. I’ll be back to see you again in a few weeks! Thank you so much! * K.F. I am new to writing reviews, other than “great book!” or something equally verbose so my apologies in advance if this ends up rambling a bit. I am writing to share my hypnosis session experience with Dr. McEvoy. It’s been two weeks since my session for weight loss/healthy eating. It was the first time I’d ever gone in for hypnosis so I wanted to wait until I could see what it did (or did not) do for me. I have tried several weight loss “programs” that have had varying rates of short-term success. Unfortunately, nothing seemed to help what I call my “stress” eating. I would nibble all day at work and then “graze” continually all night until bedtime. Ice cream was a favorite even though it would make me sick. I even tried therapy. Anyway, since I am currently significantly over my ideal weight I thought I would try hypnosis with Dr. McEvoy, my chiropractor. The experience itself was wonderful. Very much like a long relaxing guided meditation. I felt really good when it was over, but couldn’t tell if anything was different at first. After two weeks I would say the results for me have been great. I am too embarrassed to weigh myself, but I do know that my clothes are not feeling quite as constricting anymore. I don’t eat constantly, only when hungry, and my food choices are better. I’ve stopped eating things that will make me sick no matter how tasty they are. And I drink a lot of water. I had a terrible habit of drinking copious amounts of diet soda. No exaggeration, people took notice of how much I drank and were concerned because of the massive amounts of caffeine I was taking in. I remember Dr. McEvoy making a suggestion during the hypnosis that I would want fresh water. It worked. I still drink one or two diet sodas a day (down from at least five or six at work, more at home), but water is far and away my drink of choice. Time will tell what the long term effects will be, but for now I’m happy overcoming some really bad eating habits. It may lead to weight loss, but for now, I feel much better and have much more energy. * P.M.
My hypnosis session was great. The doctor had a soothing voice that made me relax and not focus on my pain. Definitely worth it! * T.B. If you are curious to learn more about how hypnosis could help you with your weight loss goals, please contact us by calling the number below or by submitting a contact form by clicking here.